Long is the time since billboards across the country have lit up with the name Divinyls. A brand synonymous with raw, exciting, and above all uncompromising rock 'n' roll. A band that won the heart of a nation and then eventually the world. That time has come again as founding member, guitarist and co-songwriter Mark McEntee returns in 2019 with a talented new line-up hitting the road in March to honour the legacy and celebrate the indelible music created with the late, great Chrissy Amphlett. Led by the commanding vocal stylings of Amphlett and the whipsmart guitar vocabulary of McEntee, the Divinyls were a massive international success in the '80s-'90s. Managed early on by Bon Scott's friend and collaborator, Vince Lovegrove, the Divinyls signed to the biggest-ever publishing deal with EMI America as the duo co-wrote hits such as Boys In Town, Only Lonely, Sleeping Beauty and the international hit, I Touch Myself, which charted at #2 on the US charts in 1991. By this time the Divinyls were sharing management with Madonna and Michael Jackson. It was a deal that had stemmed from early and hard-earned American success, opening 1983's iconic US Festival to over 150,000 people, being the focus of a double-page spread in the New York Times and touring with the heady likes of Aerosmith, The Ramones and The Cult. Throughout the band's history, Mark McEntee impressed as a world-class songwriter and guitarist, and a highly-acclaimed musical arranger in the studio. He co-wrote I Touch Myself with Billy Steinberg (Like A Virgin, True Colors, Eternal Flame), had his song, Science Fiction, included in APRA's '75th Anniversary Best 30 Australian Songs Of All Time' and penned The Pretenders 1999 hit, Human On The Inside, for Chrissie Hynde. The Divinyls are inductees in the ARIA and Victorian Music halls of fame as proof that the songs will live on forever. 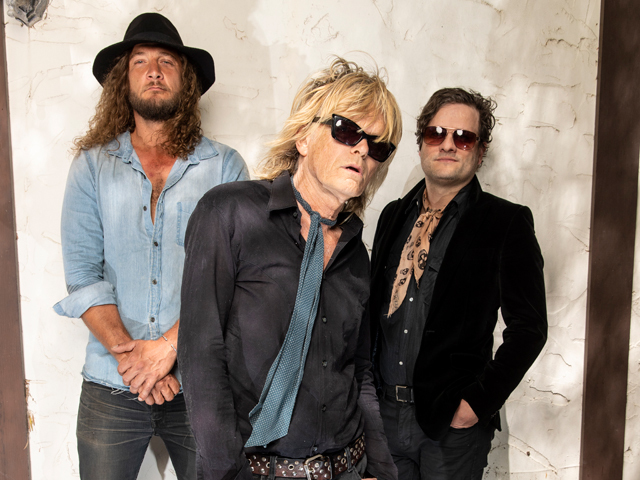 Feeling an organic need as a musician to perform the songs he co-wrote once again, McEntee will lead a major Divinyls tour in 2019. Joining him will be firebrand Baltimore-bred, LA-based singer/songwriter, Lauren Ruth Ward, original Blondie guitarist and Divinyls (1987-88) alumni, Frank Infante, and a cracking new Australian rhythm section featuring J Cortez and Malcolm Clarke to bring those hit tunes – from the heart and source - back to stages all over the world. It's time. And it's also, as McEntee says, a Divinyls Mission.